Losing weight may be much harder during menopause. Not only does a woman's metabolism become slower, but she may develop a greater appetite as well. Research has found that individuals who consume fewer sugary drinks or cut them out altogether can see a significant improvement in their body mass index (BMI). This can be hard with all the sugary sodas, fruit juices, and shakes readily available for consumption. You don't have to give up delicious, enjoyable beverages in order to lost weight. These delightful alternatives are satisfying, healthy, and will help you get in shape. Only one-third of Americans drink enough water daily, which is one of the many causes of the high rate of obesity in the United States. Drinking water is a great habit that helps fill you up, fight cravings, and improve metabolism. When you are dehydrated, your metabolism is slowed, causing you to retain more fat. Your body needs water to digest food properly and pass waste. Make sure to drink the equivalent of 8 - 10 glasses a day to feel a notable difference. This popular tea is amazing for weight loss. Green tea has thermogenic properties, which speed your metabolism and help you lose fat that would otherwise be stored. It also is an effective appetite suppressant that can keep you satisfied in between meals. There is also an important compound in green tea called epigallocatechin gallate (EGCG), an antioxidant that reduces fat absorption in your body, resulting in lowered cholesterol and weight. Drink green tea before meals to slow fat absorption. This root helps the immune system, which will help you to stay healthy and get the exercise you need. There is also evidence that ginseng improves mental performance and overall well-being. Ginseng tea also has a unique flavor, and is a good way to add variety to the teas you drink. If you are looking for something on the sweeter side, this is your go-to treat. Although it tastes delicious, it is very low in calories and sugar. At the same time, it increases metabolism, helps you break down and burn fat, and is incredibly thirst quenching. Find brands that have no added sugar, as coconut water has its own sweet flavor. Diet drinks, despite their name, will not help you lose weight. The artificial sweeteners can affect your metabolism, which can make you feel hungrier and overeat unhealthy foods. You may be saving some calories this way, but it is only likely to make you consume more solid food later. In addition, it can cause serious thyroid problems that also disrupt your metabolism and body's ability to process foods. 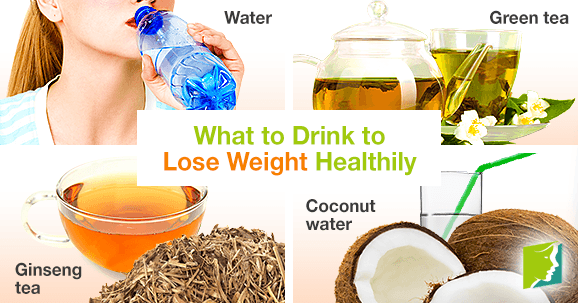 Studies have found that water, tea, and coconut water are excellent drinks for people who want to lose weight and become healthier overall. Whether you're looking to boost your metabolism with a soothing tea, break down fats with a sweet treat, or regulate digestion with water, you can shed pounds much more quickly. Enjoy the benefits of these natural options on your weight and overall well-being. Can Walking Your Dog Help Curb Menopausal Weight Gain?